A new estimate from the American Public Transportation Association predicts infrastructure spending could create millions of jobs over the next decade. What can $200 billion buy? According to the American Public Transportation Association, an investment of this size in the nation’s public transportation infrastructure would create ten million domestic jobs over ten years — and in 20 years, it could contribute $800 billion to the national GDP. Using data collected from four federal funding programs and local metropolitan planning organizations, the APTA derived its estimates from models developed in past economic studies. It concluded by urging Washington to “dramatically” increase federal investment in public transit and intercity passenger-rail systems. But at this point, such a proposal amounts to little more than wishful thinking: the Trump Administration has proposed cutting billions of dollars from public transit programs, and Congress has not yet opened debate on infrastructure spending. The APTA’s push is based on well-founded concerns regarding the state of the nation’s infrastructure. A recent Department of Transportation study found that more than 40% of buses and 25% of rail train operations are in marginal or poor condition, and the American Society of Civil Engineers gave the country’s public transit system a D- rating in its 2017 report. Nearly all of the infrastructure so badly in need of repair is essential to the nation’s economic health: a recent ATPA study suggest that 90% of public transit operations directly benefit the economy. With the federal government currently covering only 43% of spending on public transit, cuts to already suffering infrastructure could mean serious funding problems for the country’s transit system. “Data from the US Department of Transportation shows we need to invest nearly $90 billion just to bring our systems into a state of good repair,” claims APTA Acting President and Chief Executive Officer Richard White. Increasingly rare in our current political climate, infrastructure is an issue on which most Americans agree. A 2016 poll showed that 75% of Americans support increased investment in public transportation, and that 81% of Trump voters oppose any spending cuts. As the agencies and authorities responsible for this infrastructure lobby the government for support, they must also look into solutions that will cut operating costs and free up money for repairs. 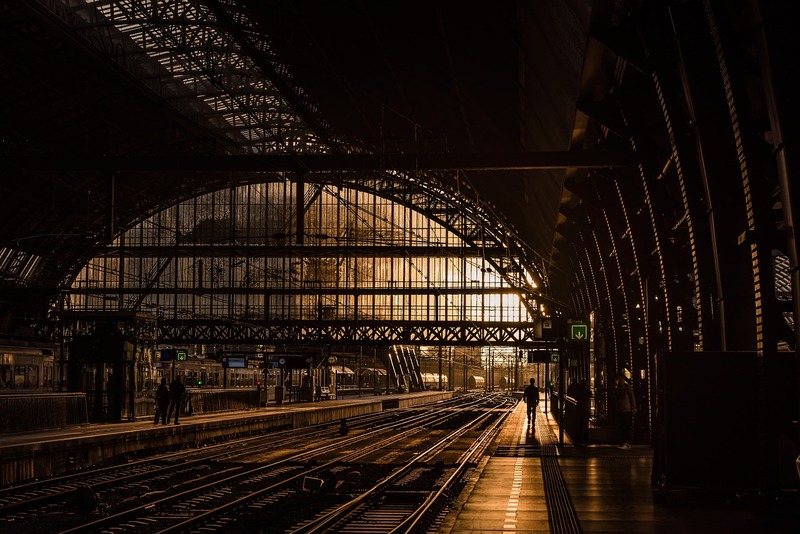 In the case of our nation’s railways, one critical means to maintaining efficiency and keeping maintenance costs down is through rail lubrication. For more than 40 years, Midwest Industrial Supply, Inc. has helped maintain the country’s rail infrastructure with proven lubrication solutions. Our market-leading product, Glidex®, is an organic synthetic lubricant that works with railroad switches, slide plates, throw rods, movable bridges, overhead crane rails, and couplers. Non-flammable, non-corrosive, and environmentally friendly, it works as long as several months without reapplication and won’t wash off with snow or rain. Whatever your needs may be, Midwest has an efficient and cost-effective solution that will keep your trains running smoothly in all seasons. Eric Vantiegham is Midwest’s Rail & Transit Specialist. Skilled in product development, new business development, and strategic planning, he enjoys playing ice hockey and coaching his boys' youth teams.